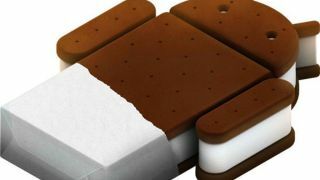 Google's latest version of its Android software takes it up to version 4.0 and higher, which is commonly known as the Ice Cream Sandwich update of the mobile OS. The big selling point is that it unifies the experience across all hardware, so users of phones running ICS see largely the same interface, albeit with some layout changes for the bigger screened devices. Of course, there's still the issue of manufacturer skins to take into account. While Android 4.0 offers a basic and seriously updated feature set, some tools and features may be missing or accessed through different means when using the same OS on phones made by different companies. So Samsung's Android 4.0 update, which we're seeing arrive on its Galaxy S II right now, looks and works differently to the Android 4.0 you'll shortly see arriving on HTC's exciting new One Series of phones. Which makes compiling a list of tips that work on all versions of the OS out there rather hard. But enough of our moaning. Here are a few useful shortcuts to getting the most out of your Ice Cream Sandwich serving, whenever the metaphorical waitress decides to bring it to your metaphorical table. One of the options buried beneath the Labs section of Android 4.0's web browser is the Quick Controls option. This adds a pop-out menu to the browser, which pulls in a little semi-circular collection of shortcuts to the main browser features, removing the URL bar and giving you more screen to play with. Also, holding down the Back button is the Android standard way of bringing up the bookmarks and history tool, too. But that's been around for years. Long-pressing on an app within the app drawer lets you drag it to a Home screen, but it also pops up a couple of menus along the top of the screen. App Info gives you the boring technical stuff about how much memory it's taking up, or you can fling it off the other way to uninstall it. One odd undocumented little secret within Android 4.0 is this strange little collection of flying Androids, which you can... look at. Look at for as long as you like. To activate it, head into the phone's About screen and hammer away at the Android Version tab and it'll all happen. Inverted rendering is a posh way of saying it makes the pages black and turns the text white, so it looks like you're reading the internet from 1997. It also supposedly saves battery, plus is easier on the eyes if you're reading in the dark. It's under the browser's settings tab, within the accessibility area - and there's a contrast slider, too. When your Twitter action is rudely interrupted by someone actually telephoning you, there's a polite way to give the caller the boot. Android 4.0 lets users ping a rejection text message to callers - and you're able to customise this too. Just answer a call and ping the lock screen notification up to access to custom rejection messaging area. One of the many new ICS features is the way Google lets apps automatically add shortcuts to themselves on your Home screen when they've finished installing. It's useful, but if you're a control freak and wish to remain 100% in charge of your Home layout, head to the Google Play app's settings tab and untick the Auto-add Shortcuts toggle. That little settings icon in the ICS notifications area isn't just art to fill the space. It's a shortcut to your phone or tablet's settings area. So use that instead of giving it a Home screen icon slot all to itself. Google's lovely new recent apps multitasking menu also lets you close apps quickly, should you suspect one's gone rogue. A Long-press within the Recent Apps listing lets you visit the app's info page, from where you can easily force close it. It's possible to entirely bin your Android 4.0 lock screen, making the phone instantly turn itself on when you press the power button. It's a security nightmare, but if your phone lives entirely on your desk and you demand instant access without any unlocking, head to Security > Screen lock and select none. Then be very careful. Android's new official love of folder formation makes it dead easy to combine app shortcuts and make folders, simply by dragging one icon on top of another. You can make these groups of apps even easier to access by dragging a folder onto the ICS floating dock, meaning you can squeeze stacks more content on to each creaking Home screen. The Android 4.0 camera app that arrived with the Galaxy Nexus has one cool little extra feature - the ability to fire off still photos while recording video clips. Simply tapping the screen takes a shot at full resolution, which is saved to the phone's gallery while the video's still happily recording away. Hidden within the Developer Options section of the Ice Cream Sandwich software are quite a few nerdy ways to adapt your phone. Most won't be of any use to those who are just using their phone as a phone, but if you want it to feel faster, or at least look a little different, the scrolling, zooming effects on windows and menus can be edited in many ways. Screen grabbing of your phone's display is finally in Android. On the Galaxy Nexus, it's activated through holding the power button and volume down switch. On HTC's new models it's done by holding the power button and pressing Home. Other phones had different techniques for doing this before Ice Cream Sandwich, but it's good to see this now becoming part of the standard Android feature set in Android 4.0. When typing on the Android 4.0 keyboard, you may see some suggested words appear with the "..." icon beneath. Doing a long-press on this one will pop up a much bigger window of suggested words, letting you bail out on some of that tedious typing a little quicker. The ICS face unlock feature, as found in the Galaxy Nexus, lets you unlock it by scanning your face with the front camera. Which is great, but what if you haven't shaved for a month? The software can actually store multiple images of your face, so you can do left parting, right parting, shaved, unshaved - or even add a trusted a friend to the visually verified user list. Another hidden little gem found within the Development options tab is the hardware acceleration 'Force On' toggle. This makes ICS attempt to boost the performance of any apps that don't already use the feature. It may also break them in the process, though, so it's something of a trial and error fiddling exercise to do on a very rainy day. Make a stand for grammatical standards in this day and age by long-pressing on the stock Android 4.0 keyboard's full stop button. This brings up such doomed punctuation as commas and speech marks, plus even a semicolon for the extra brave mobile typist. Found a lovely photograph of some stars, a pretty computer generated planet or even the mighty Professor Brian Cox himself? Long-pressing on any image in the web browsers lets you instantly set it as your wallpaper, without the hassle of saving it, finding it, and setting it the long way. If you fancy an even more serious bit of fiddling, the same ICS developer area contains the option to "limit background process" demands by the OS. You can use this to stop your phone or tablet storing so many apps in memory. Whether this has any effect of the actual battery life of us users is up for debate, but again, it's something to play with and see if it suits your phone use patterns. Here's a simple yet huge change Google's made in Android 4.0 - the Notifications pane can be accessed from the lock screen. Press power, touch the Notifications area, then scroll down to read your latest messages. Obviously it's a bit of a security risk and lets anyone access your messages, so best be careful.